Not too long ago, a 4-megapixel camera was considered pretty hot stuff. These days, even basic point-and–shoots pack a whopping 6 megapixels. They’re also adding larger zoom lenses, bigger displays, more sophisticated sensors, and a host of interesting new options for editing, viewing, and sharing your images right from the camera. Drooling yet? Take a look at some of the newest cameras shaking up the photography world. The Coolpix S6 is great for showing off your latest photos when you’re nowhere near a big screen. The camera is ultracompact, yet its big (three-inch) LCD screen with a wide viewing angle lets everyone have a look. You can even set up an in-camera slide show, complete with music (you supply the WAV files). The 8-megapixel PowerShot S80 is small (about 4 by 2 by 1.5 inches) and light (about 8 ounces). But its 28mm-to-100mm lens is wider than what you find on most compact point-and-shoots, letting you capture more of the picture. 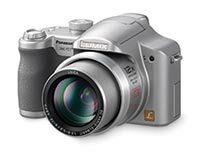 For people who want to feel close to the action, even from the stands, the 6-megapixel DMC-FZ7S sports a 12x optical zoom. It also comes with an optical image stabilizer—especially handy when you’re shooting those really long-distance shots. You’d like to upgrade to a digital SLR, but you don’t want to lose the screen preview you get with your compact camera. The Evolt E-330 is the first digital SLR camera to offer a live preview. The 2.5-inch LCD screen also tilts to help you compose shots from awkward angles. This flexible, compact, lightweight tripod can adjust to nearly any surface. This compact, inexpensive monitor calibrator adjusts your screen for whatever lighting situation you’re in—a café, an airport terminal, or a home office. A camera case specifically designed for sleek compacts, the Lowepro comes in three sizes (the 10, 20, and 30) and three colors (black, red, and blue); each has a detachable belt clip. OK, it looks supergoofy, but it could come in handy: it’s an umbrella for your camera. Position it at an angle to protect the camera from rain or to shade the lens from the sun.